The Smart Power Card is an ABS plastic powerbank that comes in a slender ‘credit card’ shaped body. The Card has an exceptionally compact structure with an impressive 2400 mAh. This powerbank has a micro USB charging cable and iPhone 5/6 adapter built into its slimline frame. With a full colour print area that extends the entire dimensions of the Card, this powerbank is ideal for designs that include detail and photos. 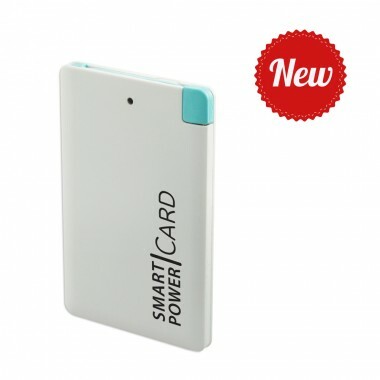 The Smart Power Card comes supplied in a large clear plastic presentation box unique to this powerbank.